The Pinterest Homefeed personalizes and ranks 1B+ pins for 100M+ users on Pinterest, using data gathered from collaborative filtering, user curation, web crawl, and many more. This talk will give an overview of the system and focus on effective engineering choices made to enable productive ML development. To have multiple engineers effectively develop, test, and deploy machine-learned models for the Pinterest Homefeed, we’ve built a system that allows for continuous training and feature gathering. We will discuss our signal gathering framework, and our system to enable config-based featurization, offline training, and online classification to be driven by a single system. Additionally we will discuss other engineering constraints we’ve built around the system to satisfy business rules and requirements. QCon: Can you give me an idea of the scale you are talking about? Dmitry: We personalized homefeeds for over 100 million users and provide recommendations for over 1 billion unique items. If you compare that to most other recommendations (like movies which are on the order of 10’s of thousands or songs on the order single’s of millions), we are several orders of magnitude bigger. So part of the scaling challenge is understanding how to build and design a system under those constraints. QCon: What does your ML stack look like? Dmitry: There are a number of things we built ourselves and a number of things we are built on top of. In terms of our serving infrastructure, we are built on top of HBase as a storage layer and several java services that do ranking, recommendation, and building feeds. We have a pretty heavily offline stack with offline hadoop jobs using Cascading, Hive and other technologies to process and build data offline. One of the main things I want to discuss is a case study of a domain specific language used for modeling, machine learning, and feature transformation. That language is the thing that allows us to scale the engineering aspects of the work. QCon: Is this DSL something that is specific to Pinterest or is it available for other people to use? Dmitry: Right now, it is something specific to Pinterest, but we may make it available to others. It is a pretty generic system that we can potentially use to serve many different kinds of models such as reading data from many different data sources. The focus of the talk will be about using the DSL as a case study about how to take machine learning from being a one-off solution to a repeatable part of your infrastructure. Dmitry: It’s answering questions like how do you make the process of data collection easy and make that something you can iterate and move forward as your underlying data changes or as you add data types. How do you make the process of building models easy? How do you make it so that your online and offline systems are really 1-to-1, and how do you make sure they are working in tandem? How do you make sure the work you do offline when you are training data transfers to online? Finally, how do you make engineers productive? Build your systems in a way to make online experimentation easy, to make it easy to get data quickly, and make your online classifier environment be as similar to your offline environment as possible. QCon: Who do you feel is the main type of person you are talking to in your talk? Dmitry: I think there are two kinds of people that will benefit from the talk. First is someone who has been very focused on the machine learning aspect and wants to be able to figure out how to scale the system over the long term and make it something that other ML folks can contribute to as well. The other person is someone working on infrastructure for machine learning. So this is someone who is working with a data scientist or machine learning researcher to build out infrastructure and scale a machine learning product. These are some of the pieces that wind up being essential and that everyone has to build out, and it’s worth thinking about them early. 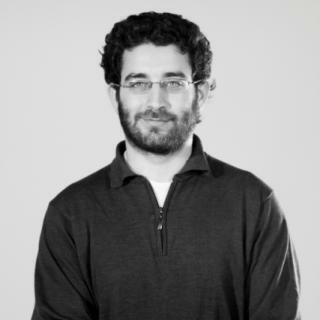 Dmitry Chechik is the engineering manager of the Pinterest Homefeed and Recommendations team. During his time at Pinterest, he started the data infrastructure, search, and recommendations efforts at Pinterest. Alibaba Mobile Infrastructure at "China Scale"